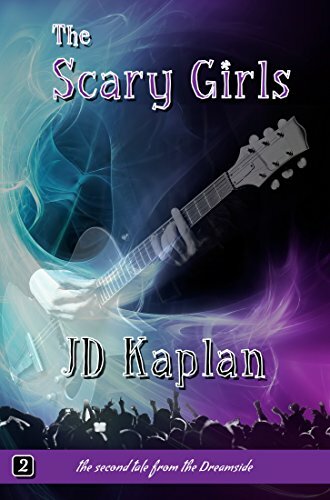 about this book: The Scary Girls is a novel about personal growth, self-discovery, magic and the power of music, all set in the modern world. Steeped in the impossible, the unlikely and the supernatural, it's a tale of mystery and a journey into an unknown world that exists around us, that most of us cannot see or comprehend. Trick MacKenzie is a musician. He's felt for a long time that he's floating through life, his emotional connections to the world around him are few and even those are mild and understated, lacking any real power or immediacy. He plays guitar in a band that is semi-successful, garnering a large local following but unable to make the next step. He's okay with that. He doesn't care for the rock and roll lifestyle, doesn't like crowds and would be perfectly happy to live in a recording studio. All of that comes apart in a moment of betrayal and he is driven from this cold, yet sterile environment into that unknown, unseen world that exists around the next corner, just out of sight. He meets four extraordinary women and auditions to join their band. They are an enigma. Unearthly, beautiful and mysterious, he can't help but be drawn to them. And there's something...scary about them as well. Some hidden hint of threat he doesn't understand but feels deep inside. Trick quickly realizes none of that matters. The music he makes with them is almost a religious experience. And with that one night he begins to change, slowly at first, but then with growing speed, rushing toward a moment of painful self discovery. But they are with him the whole way, at his side, protecting and caring for him as he emerges into the world as if for the first time..